It does appear that the newest "ceasefire" in Gaza is holding.. The impoverished and brutalized people of the Gaza Strip can now return to their "homes" which thanks to the psychotic Israelis are nothing more than piles of rubble. This slaughter and genocide of these innocent people by the pschos in the Israeli military has turned Gaza into a wasteland which will take decades to rebuild, if it is allowed to be rebuilt at all. Such a waste and senseless killing by monsters driven by an unending selfish lust to have that land to themselves, and the rightful people that call that area home to be either permanently exiled or murdered. With the senseless and immoral attack on Gaza now coming to an end for the time being, it is again time to focus on other matters. It has been a while since I posted up any material here at this blog concerning health issues and especially the fraud of vaccines. It is so essential in this war for our very survival that everyone absolutely avoid rolling up their sleeves and stupidly allow criminals to inject their bodies with poisonous vaccines. Countless articles are now available that show definitive proof that vaccines absolutely do not work and in fact weaken the body's natural immune system to the point that the diseases that vaccines are supposed to prevent actually flourish. With that in mind, I want to turn to an interesting article that comes from the Waking Times website, at www.wakingtimes.com. It is entitled : "3 Vaccines That Should Be Banned And Never Administered To Any Child", and contains some very damning information about 3 known vaccinations that our children aer given that do not work and in fact cause severe physical and mental problems to the children themselves. Before following the advice of your medical doctor on immunization (which is not synonymous with vaccination), you may want to reconsider giving any vaccines to your child until you have completed sufficient research on the risks, side effects and actual causes of the diseases you are vaccinating against. The following are three highly controversial vaccines that many experts now believe should be banned from all vaccination practices in children. Likely the deadliest of all vaccines, the DPT vaccine causes more disability, illness and has the highest risks, even exceeding MMR (measles, mumps and rubella). The cause could very well be due to multiple loads of toxins delivered through the DTP vaccine which include, (but not limited to): formaldehyde, aluminum hydroxide, aluminum phosphate, thimerosal, and polysorbate 80. That means that every DTP vaccine contains carcinogenic, neurotoxic, immunotoxic and sterility agents just like many flu vaccines. These chemicals then bioaccumulate in the child with each successive vaccine, further introducing an additional load of toxins with each injection causing immune suppression. Pertussis whooping cough is a cyclical disease with natural increases that tend to occur every 4-5 years, no matter how high the vaccination rate is in a population using DTP or Tdap vaccines on a widespread basis. Whole cell DTP vaccines used in the U.S. from the 1950′s until the late 1990′s were estimated to be 63 to 94 percent effective and studies showed that vaccine-acquired immunity fell to about 40 percent after seven years. Several other research citations linking the DTP vaccines to diseasecausing complications in neurological systems, the central nervous system, sudden death, cervical lymphadenitis and convulsions. As with most vaccines, we have also been led to believe that a tetanus shot is a necessity to protect us from a supposedly virulent germ that can lead us to our death. When we carefully consider some of the facts on tetanus reported in the medical literature, we find many contradictions, inconsistencies and even falsities in relation to actual facts on the bacteria that produces the neurotoxin. In reality, there is never a need for a tetanus vaccine, regardless of your age or location. The HPV vaccine is possibly the biggest vaccine hoax in the last century. HPV vaccines are nothing more than a worldwide exercise in profiteering at the expense of children’s health. Due to the overwhelming amount of side effects associated with the vaccine, health agencies are now encouraging health professionals not to report adverse reactions, a clear indication that something is very wrong. Vaccinations such as HPV are not preventative, they do compromise safety and physicians will never provide accurate explanations of vaccine risks and benefits because they do not know themselves. Physicians can only rely on the information from vaccine manufacturers and since long-term pharmacokinetic effects which study the bodily absorption, distribution, metabolism and excretion of vaccines and their ingredients are never examined or analyzed, a Physician can never fully inform of patient of ANY benefits or risks. A closer look at research published in the Journal of the American Medical Association (August, 2007), entitled, “Effect of Human Papillomavirus 16/18 L1 Viruslike Particle Vaccine Among Young Women With Preexisting Infection” sought to determine the usefulness of the HPV vaccine among women who already carry HPV (which includes virtually all women who are sexually active, regardless of their age). This document revealed startling information about the ineffectiveness of the Gardasil vaccine. It revealed that the HPV vaccine often caused an increase in the presence of HPV strains while utterly failing to clear the viruses in most women. The authors also found no evidence that the vaccine worked at all. This observation led the authors to offer this damning conclusion that appears to render Gardasil nothing more than a grand medical hoax. Due to hundreds of adverse reactions to cervical cancer vaccine reported in Japan, teenagers injured and disabled by Cervarix and Gardasil HPV vaccination campaigns are now voicing their disdain and stepping up efforts to permanently end the government’s subsidy program for the toxic injections. A 2011 publication in the Annals of Medicine exposed the fraudulent nature of Human papillomavirus (HPV) vaccines such as Gardasil and Cervarix. Key messages the researchers report include a lack of evidence for any HPV vaccines in preventing cervical cancer and lack of evaluation of health risks. The authors concluded by summing up their evidence and stating that the presentation of partial and non-factual information regarding cervical cancer risks and the usefulness of HPV vaccines, as cited above, is neither scientific nor ethical. None of these practices serve public health interests, nor are they likely to reduce the levels of cervical cancer. Parents first voiced concerns over links between MMR and autism and the bowel condition Crohn’s disease in the mid-1990s. There were several cases of healthy children developing these conditions after being given the vaccine. Increasing numbers of parents decided not to have their children vaccinated with the triple vaccine. Dr Andrew Wakefield, a consultant gastroenterologist, drew national attention to a possible link between the illnesses and the MMR method of vaccination in a study in 1998. He claimed that combining three live viruses in one injection could be dangerous and stated that the MMR vaccine damages the bowel, releasing toxins that travel to the brain and trigger autism. Statistics on autism seem to back up the suspicions of those opposed to the MMR vaccine. Some research suggests a ten-fold rise in cases in the past ten years. This corresponds to the introduction of MMR. In rare cases, serious complications can develop, but you must weigh this risk against that of the vaccine, which, for one, definitely contains substances with known toxic properties such as aluminum. The other aspect to the equation is that even if you get the vaccine, you may still get the mumps, which means you’ve accepted the risk of the vaccine itself with no benefit whatsoever. Whistleblower Dr. William Thompson recently confirmed that “the CDC knew about the relationship between the age of first MMR vaccine and autism incidence in African-American boys as early as 2003, but chose to cover it up.” He remarked “we’ve missed ten years of research because the CDC is so paralyzed right now by anything related to autism. They’re not doing what they should be doing because they’re afraid to look for things that might be associated.” He alleges criminal wrongdoing by his supervisors, and he expressed deep regret about his role in helping the CDC hide data. There are many studies that seek to deny an MMR/autism link, but it is possible to demonstrate that each is flawed in several ways. These studies are also statistical/epidemiological-type studies – not studies of the actual children involved. They are also based upon small (for statistical-type studies) samples. There are strong grounds for believing that the safety studies of MMR were cursory, that the potential for damage was not recognised, and that subsequent safety follow-up has been conspicuously lacking. Putting the above conclusions together, there appears to be strong grounds for believing that children have been damaged, and are still being damaged, by MMR, and probably by other vaccines, including thimerosal-containing vaccines. No alternative credible explanation has been put forward for these children’s condition. The explanation that their degeneration into autism is biologically linked to MMR or thimerosal, or both, is also supported by the consistent accounts of the parents of the actual children. 3) Vaccines alter our t-cell helper/suppressor ratios … just like those seen with AIDS. This ratio is a key indicator of a proper functioning immune system. 9) Vaccines suppress cellular immunity which occurs when vaccines are injected. Adjuvants include oil emulsions, mineral compounds (which may contain the heavy metal aluminum), bacterial products and liposomes (which allow delayed release of substances). The side effects of adjuvants themselves include hyperactivity of B cells leading to pathologic levels of antibody production, as well as allergic reaction to the adjuvants themselves. One other note about vaccines, and it comes from Jim Stone's website at www.jimstonefreelance.com. It does appear that a more sinister form of poisoning has been introduced into vaccines on purpose. As Jim notes in his articles at his site, and they are a must read, the psychos in our governments have manufactured a very deadly form of phage known as the T4 Israeli developed nanobot bacteriophage. This sinister manufactured device is in our present day vaccinations and does serious damage to our neurological systems and especially the brain. According to Jim Stone's important article about this horrific deadly T4 nanobot device, victims of this bacteriophage have said that the symptoms of its attack is like having their "brains on fire"..... What we have here is pure and evil criminal intentions, plain and simple....These psychos have manufactured this insidious device as a means of either dumbing down our population or as shown in the most evil Agenda 21 plans to see most of us dead. Bottom line here again is NEVER EVER take any vaccines, period! The Israeli Genocide Of Gaza Continues: Why Is THIS Not A War Crime? - Israel AGAIN Targets A UN Run School In Gaza! In another gruesome act against Palestinians, the Israeli regime has attacked a UN school sheltering displaced and defenseless people against the Israeli offensive in the besieged Gaza Strip. According to Palestinian media reports on Monday, several people were injured in the attack on the school in Jabalia, north of Gaza City. Several UN-run schools have been hit since Israel launched its deadly offensive on the blockaded area. Dozens of Palestinians have been killed in Israeli attacks on UN schools in the blockaded territory. Israel shelled Abu Hussein School in Jabalia, located 4 kilometers north of Gaza City on July 30. According to Gaza's Health Ministry officials, at least 17 Palestinians were killed by Israeli shelling against the UN-run school. Scores of people also suffered injuries in the deadly attack on the UN-run school. NTS Notes: OK, again, as I have said before.. WHY is this not a war crime? And why the hell has the UN not fully condemned the psychos in Israel for outright murdering refugees? According to every international law, refugees are absolutely not supposed to be targeted, and here we have these maniacs slaughtering them with absolutely no moral thought..... It shows how psychopathic these monsters truly are. Yes, Israel is indeed wanting every human being in Gaza to be slaughtered. These maniacs want Gaza "ethnically cleansed" and they care not that their attacks harm helpless civilians and even refugees in ridiculous UN controlled shelters that are supposed to be there to protect them from harm. We Have WON This Battle Against The Criminal "Elite": Liars In Our "Media" Finally Admit Foley "Beheading" Was A HOAX! The Foley "beheading" was a sham, and those with true critical thinking skills saw through the facade from the very beginning.... We knew that we had an uphill battle against the LIARS in our own government and especially the LIARS in the Jew spew Media. We did stick to our guns and we continued to show how the "video" was a complete fraud and a laughable ridiculous hoax. A forensic analysis of the Foley video has found many irregularities in the video - making it appear to be fake. The analysis, carried out by an international forensic science company, which has worked for police forces across Britain, suggests camera trickery and slick post-production techniques. Major oddities in the video have made the forensic analysts decide that the alleged execution is phony. There is no blood shed while 'several cuts' are made to the neck of Foley. No incision can be seen. The sounds made by Foley are not consistent with beheadings. Foley’s words appear to have been scripted. The analysis highlights a blip in the imagery that could indicate the journalist had to repeat a line. Sounds made by Foley do not appear consistent with what might be expected. The video begins with a clip of President Barack Obama. This footage appears to have been downloaded directly from the White House website. So, the mainstream media has been forced to take note of the alternative media's comments on the fake Foley video. BUT, the mainstream media is still claiming, wrongly, that Foley was executed by ISIS. 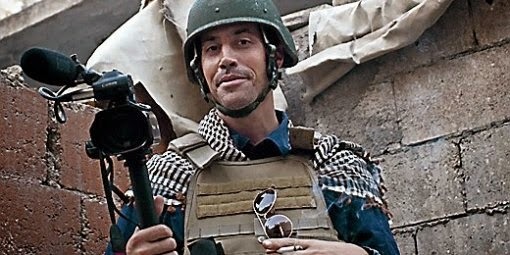 James Foley was used for anti-Assad propaganda. Reportedly Foley was captured and imprisoned by Assad's forces. "We have obtained multiple independent reports from very credible confidential sources … that confirm our assessment that Jim is now being held by the Syrian government in a prison … under the control of the Syrian Air Force Intelligence service." So, how could the anti-Assad ISIS have got hold of James Foley? And why would the anti-Assad ISIS want to kill Foley? The US public does not want to send troops into Syria. The fake Foley story is all about preparing the Western public for a US-led invasion of Syria. Foley, like ISIS, is anti-Assad. According to TheSlog: the beheading of James Foley is a fake. 3. The ‘beheading’ is faked. i. The knife his captor uses could no more sever a head than than my little finger could punch a hole in the Hoover Dam. It is far too small….and far too small to have produced the cleanly-guillotined appearance of head and body at the end of the film. ii. The universally advertised ‘gruesome gore’ has been hugely overdone by the media. There is no blood at all in the movie-action…and that’s precisely when the director cuts. But I don’t believe the knifeman cuts anything. iii. We see (very briefly) knifeman sawing away at Mr Foley’s neck – but zero blood. That is medically impossible: when you sever the left and right common carotid arteries, the spray of huge volumes of blood is quite incredible. That’s probably why we cut to a still of head and body at the end. iv. If James Foley has been beheaded, then he certainly was not killed at the spot and with that implement. Again, there simply isn’t enough blood. Foley probably works for the CIA or Mossad. "Good but not great green screen keying with blurred lines around the edges. "Perfect hd quality complete with shirt mics, but despite shirt billowing in breeze no wind noise and no Sand blown about. "Starts off with super baggy around the arms but on the headless dummy sleeves are taught. "The headless dummies neck is missing most of it and the cut is perfectly straight like he had a laser; also not real blood or enough of it. I've read reports on murders where the victim has been decapitated... It can take anywhere between 45 mins and 6 hours to hack through a neck with a knife like that! I've punched people in the throat in self defence... and they made more of a scene than that! There was this picture at the beginning of the ISIS campaign, showing a long line of white dressed men on the left and black dressed ones on the right..
Obviously exactly aligned as some Hollywood Jew goon would fancy a dangerous group of fighters in their "Parade-outfit" to look like..
"Experts" are paid by the Zionists to make a terror reality show for the media while they are really killing in Palestine. There's also a video analysis of the 'beheading video' which mentions the use of blood packs, and a photo shopped 'still' image at the end. The whole ISIS 'brand' smacks of a very slick advertising assignment. It doesn't 'feel' Middle Eastern at all, more New York/ London/ L.A.
After the Obama speech addressing the "beheading" CNN went to a "live" interview with Foley's parents. The parents are known crisis actors! Who would believe that a couple, just knowing their son was beheaded would give an endless interview to the press as if nothing happened, even with eventual smiles? "The audio sounds like it was filmed indoors." "A different knife was shown before and after 'the beheading'." "Notice how the "terrorist" is making rapid back and forth motions against the neck with no actual cutting? The knife definitely appears to be plastic. (2) Where is the anguish by the "victim" as the terrorist starts cutting? Some may say that Foley may have been heavily drugged or has suffered from massive amounts of torture. No fatigue, slurring, stuttering, or slowness of speech….. Therefore he should be screaming if it was a real knife hitting and cutting into his neck. Where Elliot Rodger 'shot himself'. where's the blood? (4) The initial cutting by the laughable knife… No blood spurting out anywhere which would be shooting out all over both the "terrorist" and the victim himself..
No sign of blood in the false flag 'attack on a soldier' at Woolwich in London. (5) The cutaway of the video showing the "head" on top of the body in the final segment… The body and the head do not even appear to be human but are most probably parts of those dummies used for CPR training. (6) The blood on the ground.. Why is there only blood above the neck line and on the orange uniform? Considering an average human body contains some 5-6 pints of blood, the desert area around the "body" should have large amounts of blood as well….There should be blood everywhere. "Isis victims" - "Shirt color bleedover, and a cut off color by a photoshop layer mistake. "Hair color on man in green shirt has been fully altered / added. "Mistake tinge of blue on the grey striped mans belt! "Referee sports jersey in the middle…"
It was alleged that the above photo showed women who were going to be sold by ISIS. In fact the photo shows a protest against the Muslim Brotherhood by women in Egypt in 2013. ISIS | Iraq | Women Sold Mosul | Fake Photo. 15 Anomalies Surrounding the 'Death' Of Nick Berg. 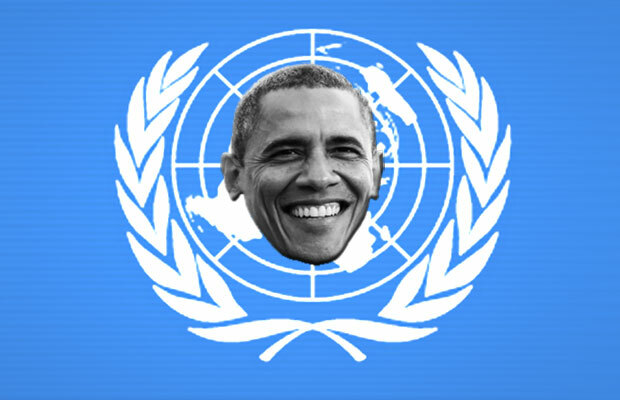 ISIS, Israel and US duplicity - My Catbird Seat. This entire sad episode was such a sham and a hoax, and it still troubles me that the Jew spew media liars in America are even now still promoting this OBVIOUS FAKE, when their fellow media liars in the UK have finally admitted defeat and are calling it a hoax. 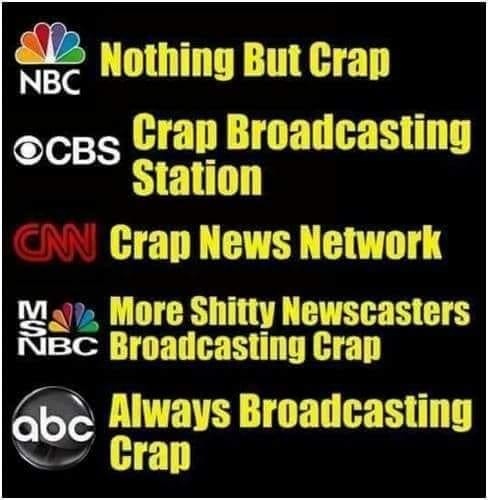 But we know now how much we can "trust" our media, because this episode of lying has definitely given them all a black eye! Spread the word to EVERYONE that this Foley "beheading" was definitely a HOAX, and I do mean everyone. Thanks to this, We may finally now have the chance to expose the entire Jewish controlled criminal empire of deceit and lies and hopefully stop them in their tracks.